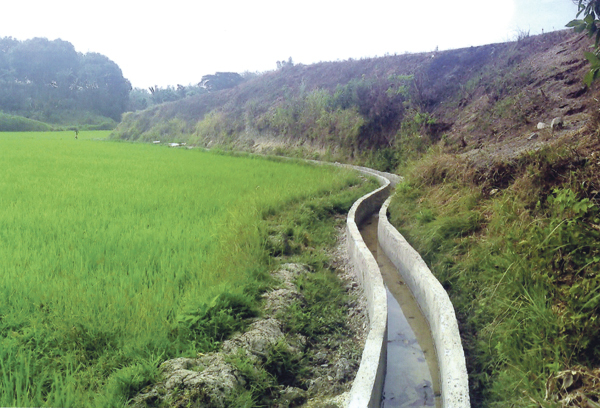 TYKFI’s social welfare advocacy includes not only calamity assistance but the protection of the environment as well. In partnership with Tanduay Distillers, Inc., the Department of Environment and Natural Resources (DENR) and the local government, the Foundation launched Roots for Boracay: Mangrove Rehabilitation Project in 2012. 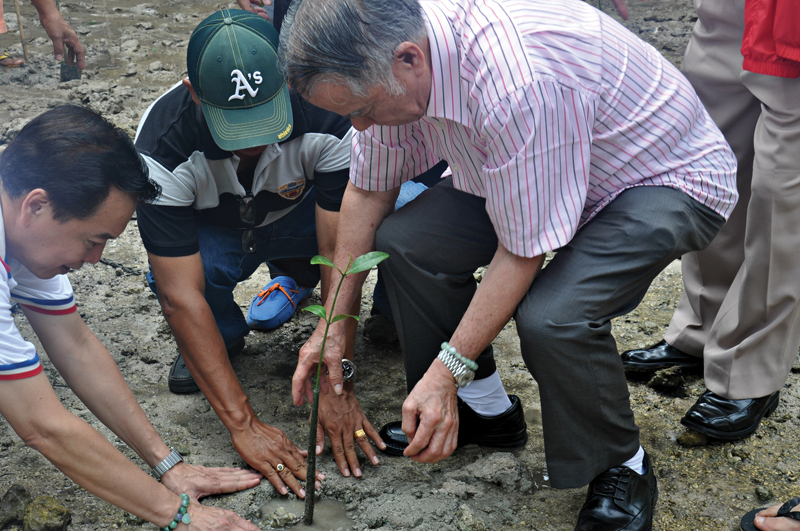 Initially, a total of 2,000 mangroves were planted in a one-hectare area in Manocmanoc, Boracay Island in Malay, Aklan. To sustain the project, DENR-Malay will provide 10,000 mangroves. 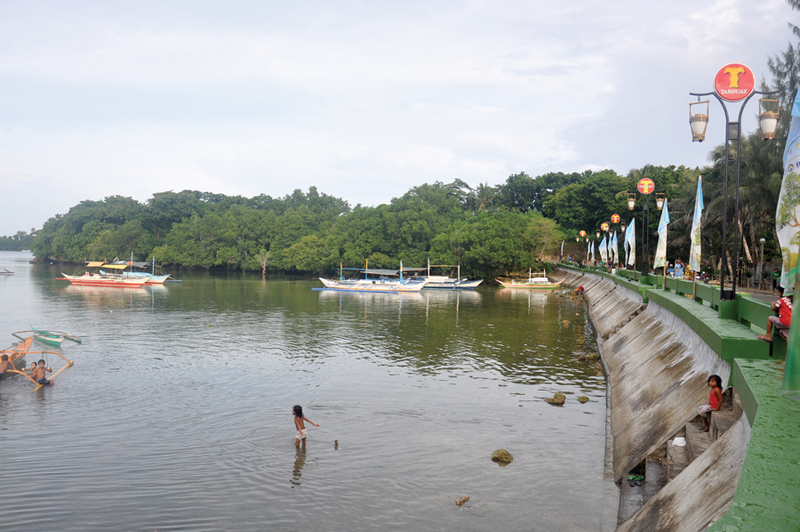 Through the joint effort of TYKFI and Tanduay Distillers, Inc., 18 lamp posts were also installed along the boulevard and construction of a boardwalk is ongoing to fence, protect, and preserve the mangroves in the paradise island of Boracay. 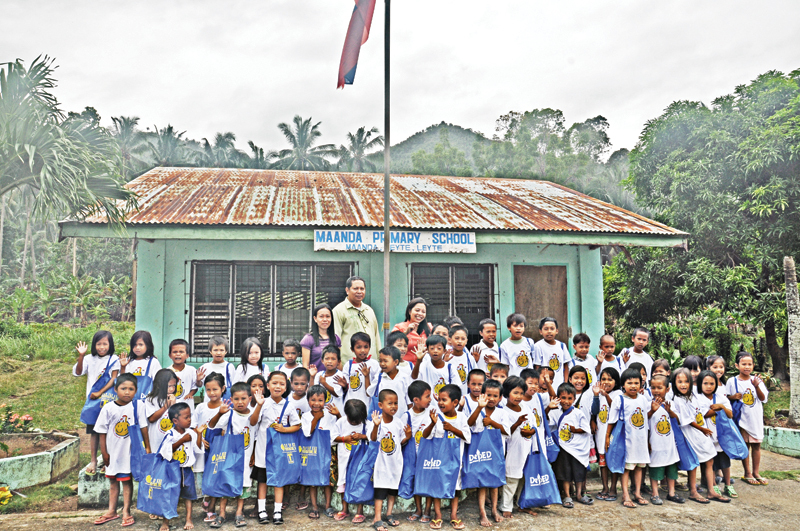 December 2012 and January of this year saw TYKFI in partnership with the Department of Education-Leyte Division, Asia Brewery, Inc., and Tanduay Distillers, Inc. Tacloban Sales Office in a food assistance project reaching out to some 5,000 pupils in various public schools of Leyte. They variously received reusable bags, t-shirts, food items, and cases of the health drink Ginger Roots Brew of Asia Brewery, Incorporated. Typhoon Yolanda (international name Haiyan) was an exceptionally powerful tropical cyclone that brought devastation to areas of Southeast Asia, particularly the southern part of the Philippines in early November. Tacloban appeared to bear the brunt of the cyclone, which is recorded as the deadliest in the country with close to 6,000 fatalities in this city and its neighbouring areas. It is also the strongest storm recorded at landfall and unofficially the fourth strongest in terms of wind speed. The devastation and the victims it left in its trail shocked the world, with many nations, individuals, international and local celebrities, NGOs, and the government rushing to provide assistance and hope towards surviving and then rebuilding lives and livelihood. The Tan Yan Kee Foundation’s HOPE Caravan went to action immediately to launch Relief Operation for the victims and survivors of typhoon “Yolanda”, with Chairman Lucio C. Tan personally going to the area. A number of companies of the Lucio Tan Group also suffered from the destruction of Yolanda. Immediate needs right after the storm that were brought by HOPE Caravan included 15,015 liters of bottled water; 1.234 tons of crackers; 2.49 tons of cheese; 12,000 liters of milk; 0.5 tons of noodles; 14,300 medicines and medical supplies; 1 ton of blankets.To assist in other areas of operation, the Caravan also brought 2,000 pieces of body bags. The Foundation also flew 200 victims out of Tacloban to temporary shelters in Metro Manila and took care as well of flying to Tacloban government officials and dignitaries. The Tan Yan Kee Foundation is exploring further possibilities for rebuilding affected areas and families. 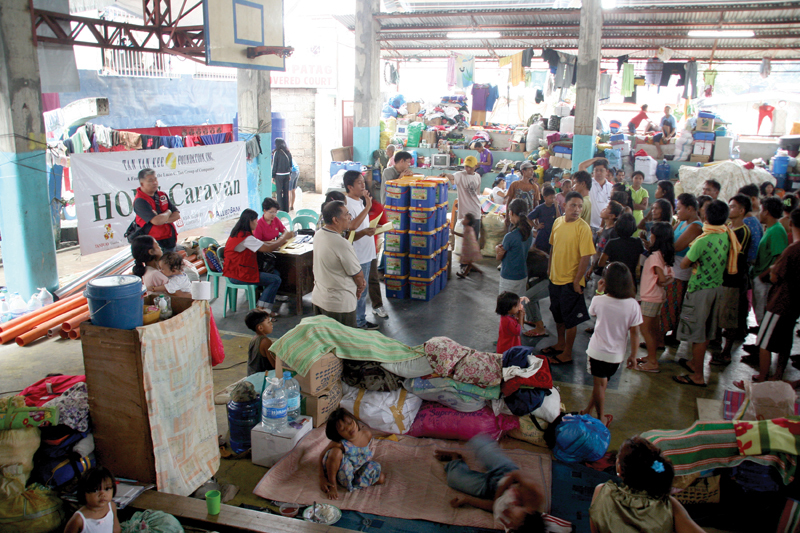 In succeeding outreach efforts to victims of Yolanda, HOPE Caravan in partnership with FoGuang Shan Foundation provided some 5,000 families in the towns of Tolosa, Tanauan, Palo, and Tabontabon tents, clothes, and cooking utensils. 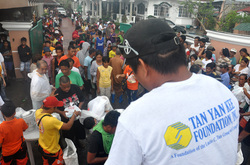 TYKFI provided various medicines and supplies through the Philippine Army. It also brought medical missions to Brgy. 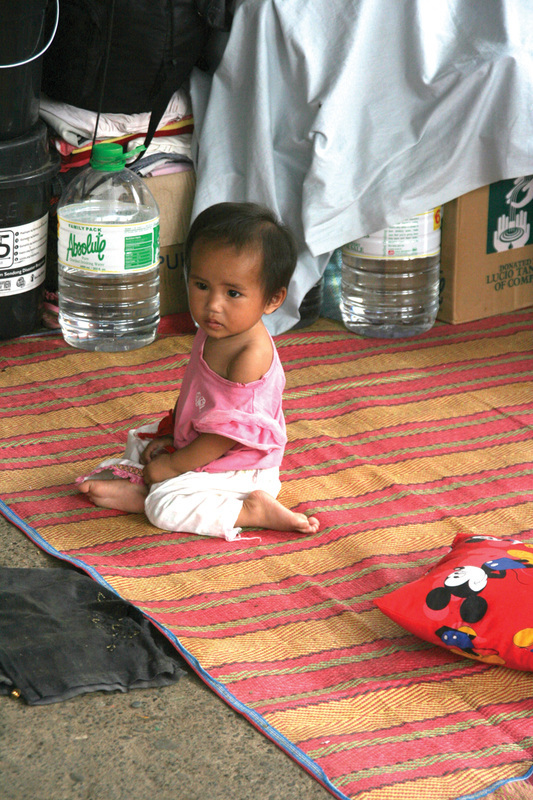 Holy Child II in Alangalang, Leyte. The Lucio Tan Group of Companies, including PNB Life Insurance, Inc. and the University of the East supported efforts with cash donations. Foreign donors, through Macroasia Corporation, Goodwind Development Corporation (Guam) gave cash donation and Singapore Foods (Singapore) provided 764 cases (22,920 pouches) of food items. Through Asia Brewery, Inc. 4,032 cases (145,152 tetra packs of milk) were donated by Green Spot Co. Ltd. (Thailand).